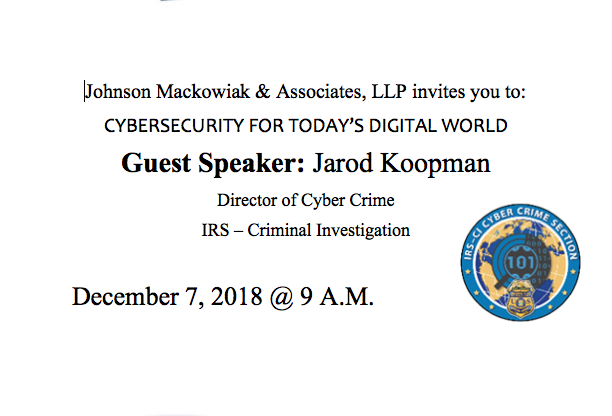 Johnson, Mackowiak & Associates, LLP is proud to host Cybersecurity for Today’s Digital World, an event featuring Jarod Koopman, Director of Cyber Crime, Department of the Treasury IRS-Criminal Investigation. The event will be held at the Clarion Hotel, 30 Lake Shore Drive E. in Dunkirk on Friday, December 7th at 9:00 a.m. The event is free and is open to the public, but seating is limited. Those interested in attending must register by calling the offices of Johnson, Mackowiak & Associates at 716-672-4770 by December 3rd. Jarod Koopman has been with the IRS since 2001. 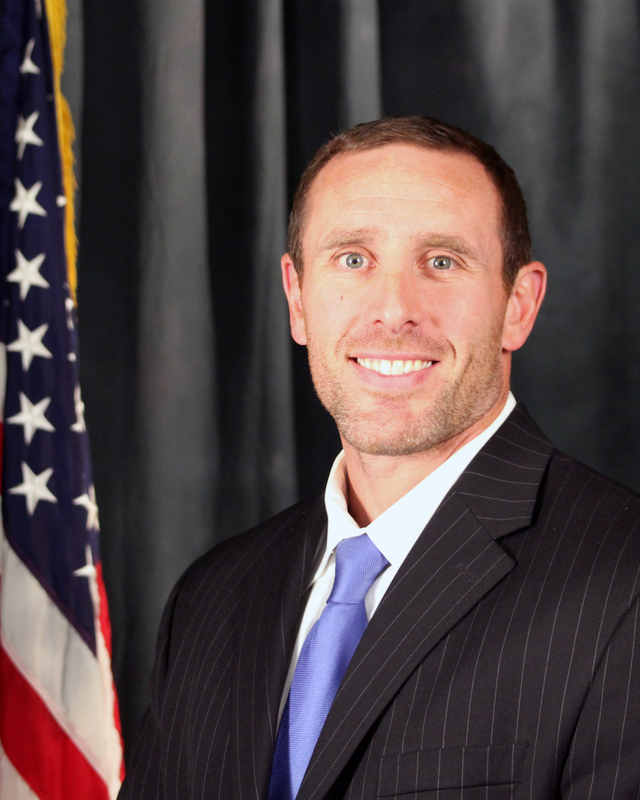 After completing the Accelerated Senior Leadership Program (ASLP) as a special agent in Rochester, NY, Koopman transferred to Washington DC as a senior analyst in refund crimes. There he focused on virtual currency and identity theft before being selected as the assistant special agent in charge for the Chicago Field Office. He was promoted to special agent in charge of the Detroit Field Office taking on the oversight and direction of all criminal investigative activities in the state of Michigan. In 2016, he was named director of cyber crime for the Department of the Treasury IRS-Criminal Investigation. In this role, he focuses on criminal investigation of cyber crime, and the oversight and management of cyber-related activities at the national level, interacting with HQ sections, senior leadership and both domestic and international law enforcement partners. Johnson, Mackowiak & Associates, LLP is a local accounting firm in Fredonia, NY that serves primarily the Western New York area. The firm performs traditional accounting and auditing functions, in addition to a wide range of tax and fiscal management advisory services.They also perform peer reviews. For more information about Johnson, Mackowiak & Associates, LLP visit www.jma-cpas.com.